MATERIAL: Denim, cotton. 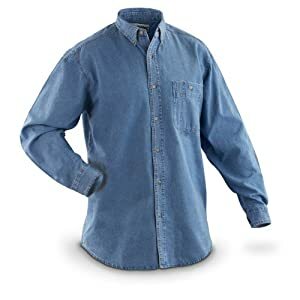 The material is lightweight, very soft and comfortable. 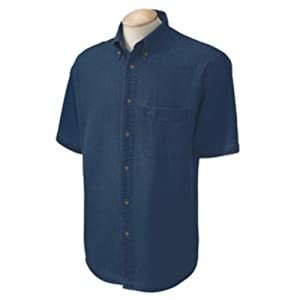 FEATURE: Classic Button-down Design; Double button adjustable cuffs; Room in the chest, a bit tapered through the waist for a tailored silhouette; Straight back yoke with center box pleat;You can put some cash or business card in the left chest pocket. 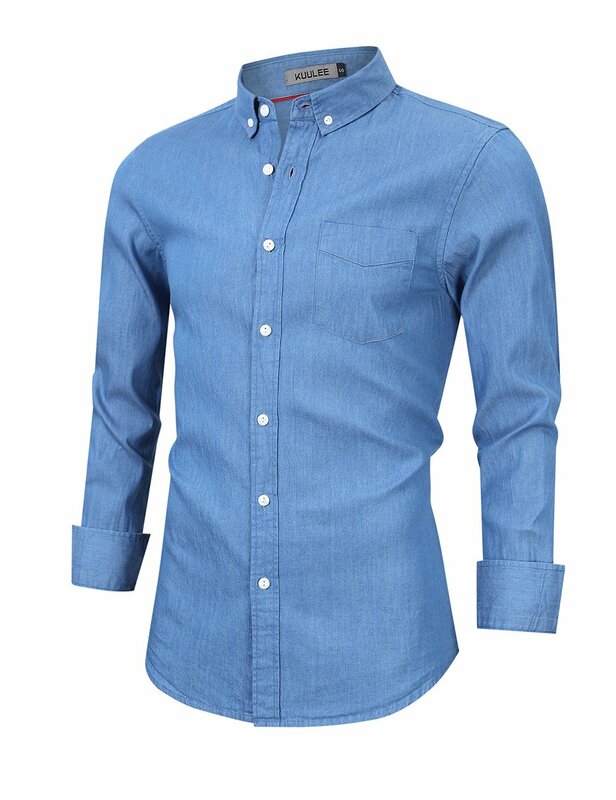 OCCASION: These slim fit denim shirts can be worn as daily casual shirt or work wear as a business dress shirts. Perfect match with stylish and classic jeans or casual pants.Suitable for all seasons. Please comprehend 1-2cm differs on account of manual measurement, thanks (All measurement in cm and please note 1cm=0.39inch). Color difference: The color of the products may deviate from their pictures as a result of lighting and using different monitors. But it isn’t quality issue. Please forgive! Dear customer, Welcome to Kuulee, we can check carefully before shipping. Any questions, please feel free to contact us directly. Hope you have a nice shopping here! 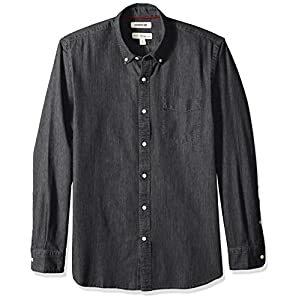 FEATURE: Classic Button-down Design; Double button adjustable cuffs; Room in the chest, a bit tapered through the waist for a tailored silhouette; Straight back yoke with center box pleat;You’ll put some cash or business card in the left chest pocket. 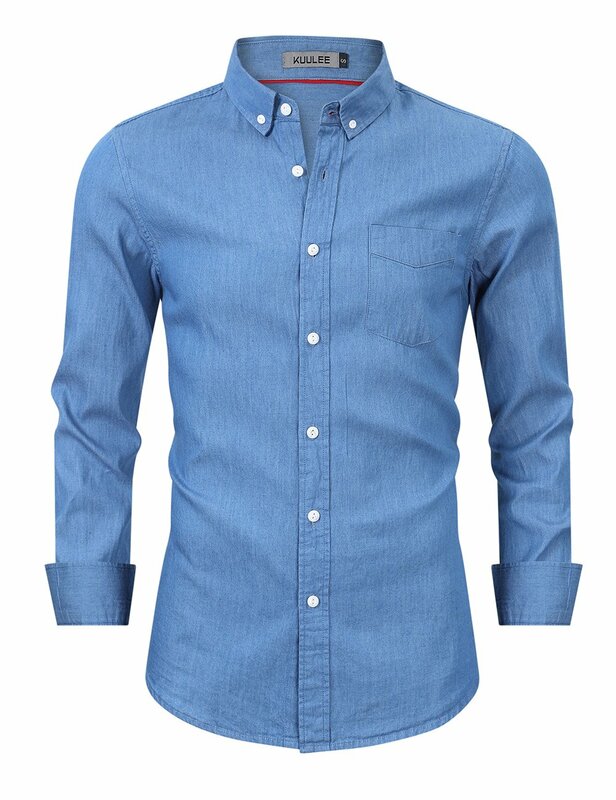 OCCASION: These slim fit denim shirts can also be worn as daily casual shirt or work wear as a business dress shirts. Perfect match with stylish and classic jeans or casual pants.Suitable for all seasons. WASHING INSTRUCTIONS:Hand or machine wash gently, low iron if necessary. Wash one at a time or with similar colors. NOTE: Please refer to the Product Size Picture on the left (Not Amazon size chart) before ordering to make sure accurate fitting. All pictures are taken in kind, but as a result of light or environment, the sky blue may have a slight color difference in reviews. So please do not fret. 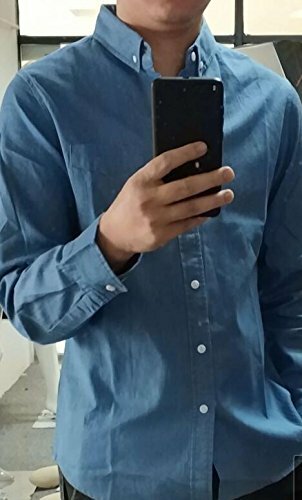 Real color and quality guarantee!